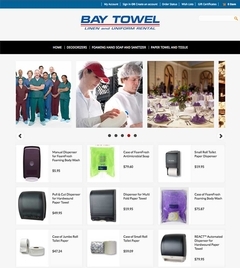 Virtual Vision recently updated Bay Towel's online E-Commerce with 2 new products. This online store is responsive and fits any size screen for easy shopping. To see the new products, click here.